Since 2006, the Fredrickson-McGregor Education Foundation for LPNs has been proudly assisting Licensed Practical Nurses with their continuing educational goals through the Education Grant Program. 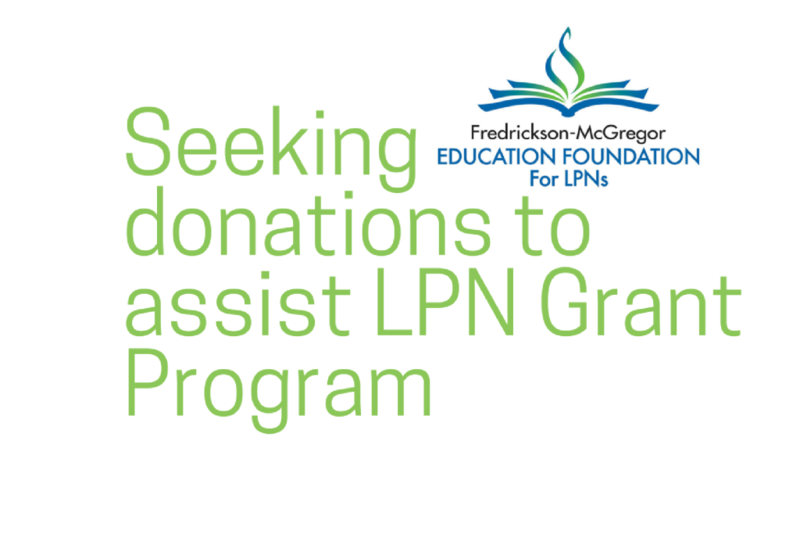 Now LPNs who have benefitted from the program are encouraged to consider donating to the Foundation. There are many ways to give including Monthly Donations, Annual Gifts, In Celebration (birthday, wedding, anniversary or retirement), In Memoriam, and In Appreciation. Donors receive a tax deductible receipt and the satisfaction of helping LPNs with their educational goals, but also assist the Foundation to continue offering Educational Grants to Alberta’s LPNs. Questions? Contact Donna at foundation@clpna.com, 780-484-8886 or 1-800-661-5877 (toll free in Alberta).